Although driving is certainly a visual activity, operating a vehicle with hearing loss reveals just how much we depend on our ears to navigate the open road. We rely on our hearing to hear the siren of an emergency vehicle that may still be a block or two away or realize an impatient driver thinks we should be moving more quickly. Hearing Associates in Mason City, Iowa reminds you that hearing aids can significantly improve the driving experience for drivers with hearing loss. 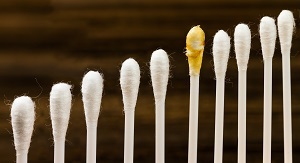 Many people think they’re practicing proper hearing health when they use Q-tips to remove wax from their ears. The truth is that they may be doing more harm than good. Research has found that adults with iron deficiency anemia (IDA) are twice as likely to have hearing loss as the rest of the population. 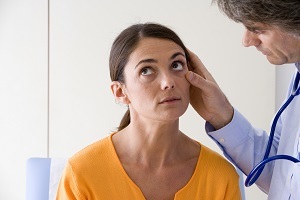 A 2016 study from Pennsylvania State University College of Medicine followed more than 300,000 individuals between the ages of 21-90 and concluded that anemic individuals were twice as likely to develop sensorineural hearing loss. Anemia occurs when the body doesn’t have enough healthy red blood cells or hemoglobin, which binds oxygen. If hemoglobin levels are low, your body won’t get enough oxygen. If left untreated, anemia can seriously damage organs. If you experience a heart attack, chances are high you will also experience hearing loss. 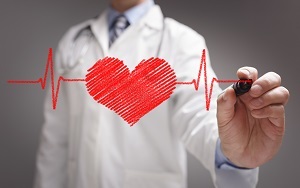 The connection between the heart and hearing has been well documented, with nearly 75% of heart failure patients over the age of 70 experiencing hearing loss, according to a report published in JAMA Otolaryngology-Head & Neck Surgery. These older individuals with a history of heart failure had hearing loss 74.4% of the time, versus 63.3% of people without heart problems. With February being designated as American Heart Month, Hearing Associates in Mason City, Iowa believes it’s a perfect time to understand the link between our heart and hearing and what we can do to protect both of them. Can Vaping Make Your Hearing Go Up In Smoke? While using electronic cigarettes may not cause our clothes to reek of smoke, does our hearing escape as unscathed from vaping (the use of an e-cigarette)? 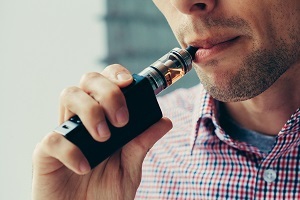 Although the use of e-cigarettes and vaping has increased dramatically in recent years, the jury is still out on their health risks and whether the practice is an effective method of quitting tobacco, according to the Centers for Disease Control and Prevention. Last year, nearly 21% of high school students vaped in the past 30 days, while nearly 3% of the U.S. adult population were e-cigarette users in 2017.